Todd A. Gray is the Director of Supplier Diversity for the Grady Health System. Prior to joining Grady, he served as Supplier Diversity Manager for CVS Caremark and as an Assistant Vice President of Wachovia and Wells Fargo Corporate Supplier Diversity. As a Metro Atlanta native, Mr. Gray is an active participant in civic and state level initiatives impacting diversity and community. He founded P.O.L.I.S.H.E.D., a community youth development initiative to help young men ages 12-17. He serves on the Georgia Minority Supplier Development Council's (GMSDC) Board of Directors, the Atlanta Business League Board, and The Villages at Carver Family YMCA Board. He was recognized in 2008 by the Atlanta Business Journal as on of Atlanta's Top 50 Rising Stars, received the 2015 Advocate of the Year Award from the GMSDC, and is a 2016 featured "Game Changer" in Who's Who in Black Atlanta. He holds a Bachelor's of Science in Network and Communications Management from DeVry University and an MBA in Finance from DeVry's Keller School of Management. Mr. Gray was nominated to the Board by the Atlanta Business League. 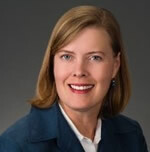 Nichola R. Hines is currently the Assistant General Manager at Hartsfield-Jackson International Airport for Delaware North, a contracted food and beverage company. Ms. Hines oversees 12 restaurants located on Concourse T and D and has worked for 13 years in the hospitality industry. She holds a Bachelor's Degree in Sociology and Social Science (emphasis in economics) from the University of Southern California. After graduation, she found a career in advertising and worked for Ogilvy and Mather as a media planner. During the recent economic downturn, Ms. Hines decided to follow her passion and went to culinary school. She graduated from The Art Institute of New York City with a discipline in Restaurant Management. She is Vice President of the USC Alumni Club of Atlanta and an active member of the Delta Sigma Theta Sorority, Inc., serving on multiple committees. Ms. Hines was nominated to the Board by the Atlanta-Fulton County League of Women Voters. Gerald (Gerry) M. Neumark currently teaches public policy and political science in the Public Management and Policy Department of the Andrew Young School of Policy Studies at Georgia State University. The classes he teaches on a regular basis include Policy and Politics in the American City as well as Citizenship, the Community and Public Service, which is a course in local citizenship and service learning. Dr. Neumark received his M.S. in community development, his M.P.A. as well as his Ph.D. in political science all at Georgia State University. He has been involved in academic activities for the past several years, serving as a past board member of the Georgia Political Science Association (GPSA). He has presented several papers and journal articles on the policy development of the Atlanta BeltLine to the GPSA as well as in its journal, Questions in Politics. His writings also include the Georgia State University On-Line Professional Journal. In addition, he is the author of the textbook currently being used for a number of university service learning and local citizenship courses. Dr. Neumark been civically active within the City of Atlanta, including serving as the former vice-chair of NPU-F, first vice president of the Atlanta Planning Advisory Board (APAB); and for a brief time, president of APAB. Dr. Neumark was nominated to the Board by the Atlanta Planning Advisory Board. Jessica Stern, the Vice Chair of the Board, is the Managing Partner and Owner of STERN Law, LLC. Blending her experience from years as a public defender and then as an Associate with the white-collar defense firm, Kish and Lietz, P.C., Ms. Stern specializes in criminal defense; immigration deportation defense; reformative justice; appeals; rehabilitative programs; Georgia sentencing issues; and Padilla consultations. Possessing a strong commitment to community involvement, she earned the Atlanta Bar Association's Celebrating Service Award in 2013 as the Women in the Profession Section Community Service Chair for her work with Foreverfamily, Inc.; a non-profit organization that provides unending support to children with an incarcerated parent. She was recently appointed to the Atlanta Bar's Judicial Selection & Tenure Committee and was named one of National Trial Lawyers' "Top 40 under 40" lawyers in 2013 and 2014. She holds a law degree from Northeastern University School of Law and an undergraduate degree from the University of Central Florida. Ms. Stern was nominated to the Board by the Atlanta Bar Association. Wesley Tharpe is a Senior Policy Analyst with the Center on Budget & Policy Priorities (CBPP) in Washington, D.C., where he analyzes state tax and budget policies and lifts up ways that public investments in education, health care and other vital services can help people and communities thrive. Prior to joining CBPP in 2018, Wesley worked for seven years at the Georgia Budget & Policy Institute in Atlanta, where he coordinated the organization's team of policy analysts and conducted research on a wide range of issues, such as the need for Georgia to improve its tax system and enact more welcoming policies towards immigrants. A native of Fayetteville, Georgia, Wesley holds a B.A. in Political Science and International Affairs from the University of Georgia and M.A. in Public Policy from the John Hopkins University in Baltimore. He is a member of LEAD Atlanta's Class of 2017, a past member of the Center for Working Families in Mechanicsville and has extensive experience advocating on legislation at the Georgia General Assembly. An Atlanta resident since 2008, Wesley was nominated to the Board by the Metro Atlanta Chamber of Commerce. Kate Wasch, the Chair of the Board, is the Managing Attorney for Georgia Tech’s Office of Legal Affairs where she provides legal counsel to the administration and faculty, concentrating in the areas of employment and litigation. She manages and trains attorneys and staff in employment law and litigation issues. Kate is also an adjunct professor for the School of Public Policy at Georgia Tech. She currently serves on the Committee on Legal Education. She holds a law degree from Duke University School of Law and a masters degree from the Institute of Policy Sciences and Public Affairs; with an undergraduate degree from Carnegie Mellon University. She was nominated by the Six Major Universities.